in avoidance of the perfunctory: Made it! 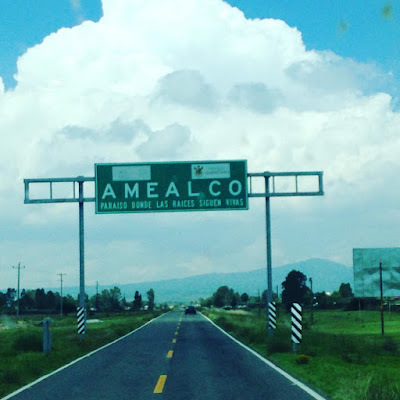 Today is a cold and dreary day in Amealco. I am, however, very glad it was not like this on Wednesday when I got here. Happy to report that the day I came up here it was great weather! We were able to pack up the truck in less than 2 hours and then on the road. The moving truck got here about two hours after I arrived here and unloaded in a room of the church here. I think they were a little shocked about how far out this place was! My stuff will remain in that room and my dog and I will be rooming in one of their cabin like areas until we can find a house. Yes, we thought we had one, but it fell through... so back to the drawing board! My guess is that we will have something lined up by the time I get back from Nebraska mid September. Things have been low key the last couple days, which is exactly what i wanted to happen! I am enjoying some down time, but can't wait to have a house and actually settle in.